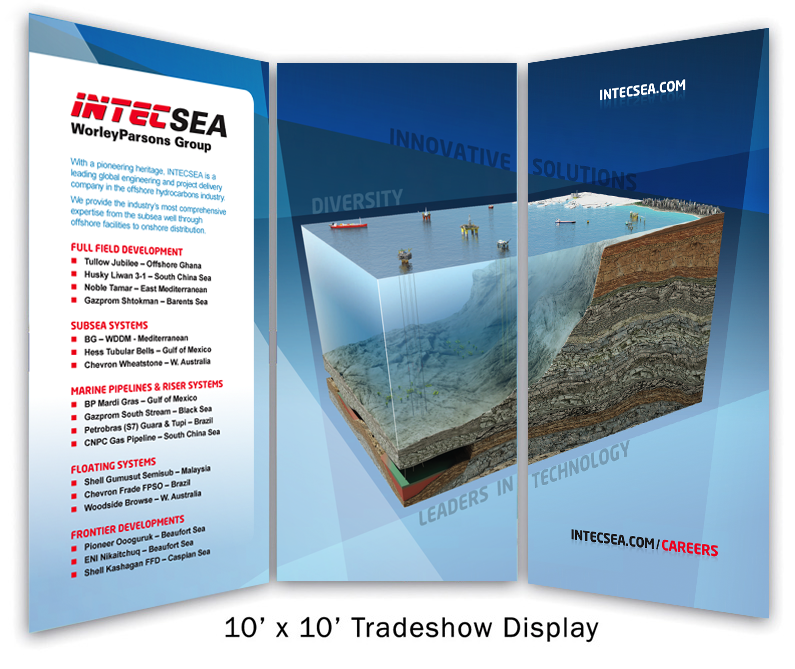 For the INTECSEA Human Resources department, versatility was a deciding factor on the media selection for this booth. Depending on the space or audience, or if the banners are used in conjunction with a larger booth. This design works for a 1-, 2-, or 3-panel orientation, and can be transported and updated very efficiently.